Da Silvio certainly takes a long time making his exit. I am, however, within a few pages of the end of Sabra the Astonishing, Soon he will be no more. In the meantime, ladies and gentlemen, Lorenzo Da Silvio. He took hold of the ornamental wrought-iron banister. Slowly he pulled himself up the curved staircase, red-carpeted step by red-carpeted step, bearing within him his tormenter, his grand inquisitor, and his executioner, three in one, a perfect Trinity, his poisoned, poisoning liver, about which his doctor used to say, “No more drink, Lorenzo,” and shake his head, knowing that it would do no good. Slowly he climbed, until at last he reached the window parallel with the second floor landing. He pushed aside the curtain, leaning a little out over the veranda’s steep, red-tiled roof. There it was: pine forest, acre upon acre of it, rolling in the slight breeze like a sea, making a sound like the sea smoothing its shore, broken now and then by a poor, squarish patch of man’s making: there in the distance Raleigh, and if he turned slightly to his left, the smaller cluster of fainter stars, Bright Leaf; between them the silky ribbon of grey road, the winding, looping Jeff D. with its many aliases. Da Silvio sighed. What had that old devil of a carpetbagger had in mind when he named his house after that bleached mountain in Turkey on which the ark came at last to rest? Did he flatter himself that his ancestors, the issue of his loins, would go out from it to found a new world? And what was his, Ignatius’s, share in all this? That empty tower room, its Moorish arches of open stone tracery now hung with cobwebs, rimed with dust, its mirrors clouded like blind eyes, its brass lamps green and swinging still, but slightly, as the wind insinuates itself in thin threads through the chinks in the windows. This silent room and then the grave, more silent still. Surely Noah must have had his doubts, he thought, opening the door to his studio. 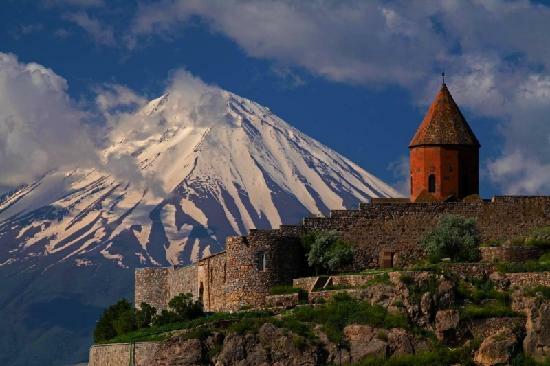 Surely he must have wondered as he sat atop that arid mountain waiting for the dove to return, watching as the sky cleared and the water receded inch by inch: Am I mad? Was I hearing things? What are my senses that I should credit them? And if it was God’s whose voice I heard, just supposing, then Who is He that I should trust Him? All powerful! An inducement to fear, yes, not trust. And what of my neighbors, whom I have, not forty days since, seen floating like pickles in a barrel, face-up in the brine, their locks streaming out to either side of them and their poor faces white and still in death? They were not all bad, nor I all good. I know my sins. Is this (endlessly fending off the questions of querulous relatives; endlessly shoveling manure), is this Grace? Or is it a trap? Is this a new beginning? Or the beginning of a new end? Where is the stained glass pelican from? Not entirely sure. 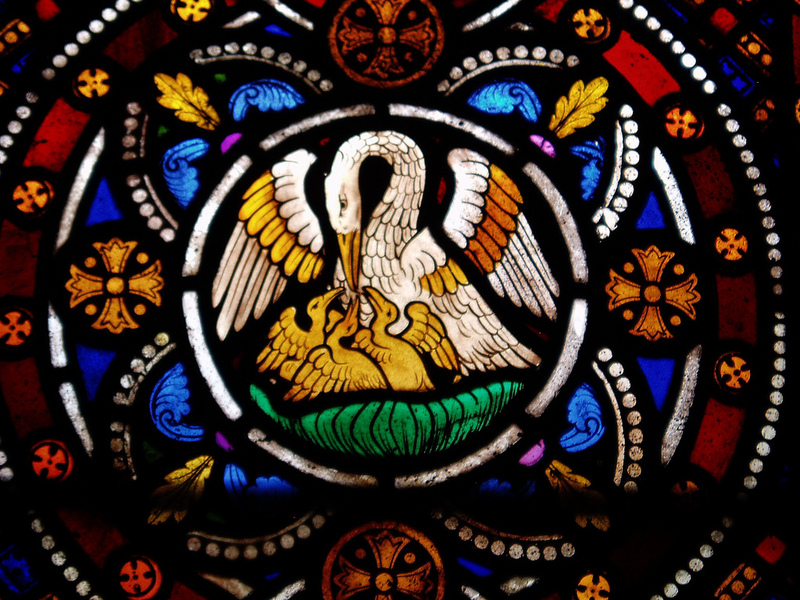 If you google “pelican stained glass”, you’ll end up with dozens of images. It’s very common, as well as slightly grotesque.